It's time to clear the docket. Who could possibly be responsible for this game? That question swirls among the participants, who grow more desperate as they are forced to make one horrific choice after another. The game is to conclude when the requisite four survivors have been determined. For these four fortunates, court will be adjourned...but what awaits them on the other side of the courthouse doors? Before making his manga debut with Doubt, Yoshiki Tonogai was an assistant to Soul Eater creator Atsushi Ohkubo. 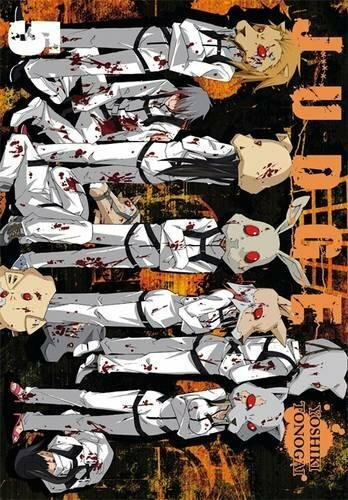 Tonogai followed up his hit horror series Doubt with another survival horror title called JUDGE, and has also contributed to the Higurashi When They Cry series.